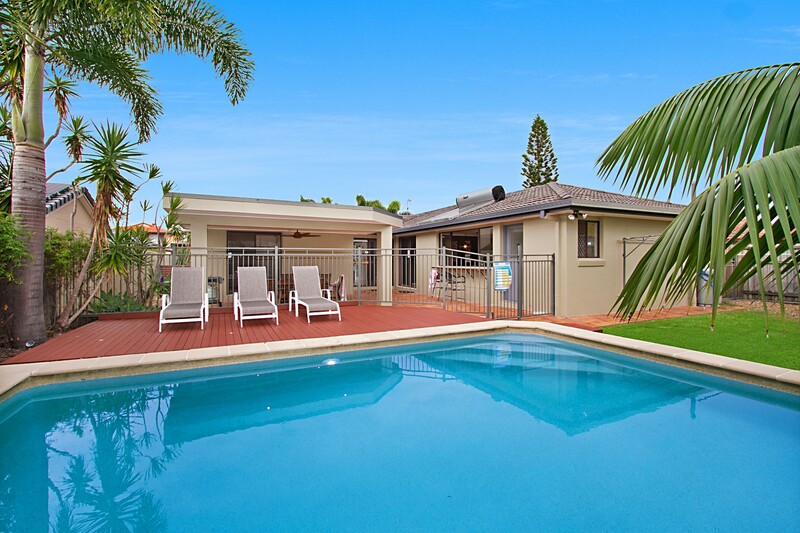 Mermaid Oasis is in a quiet residential area in the heart of the Gold Coast. 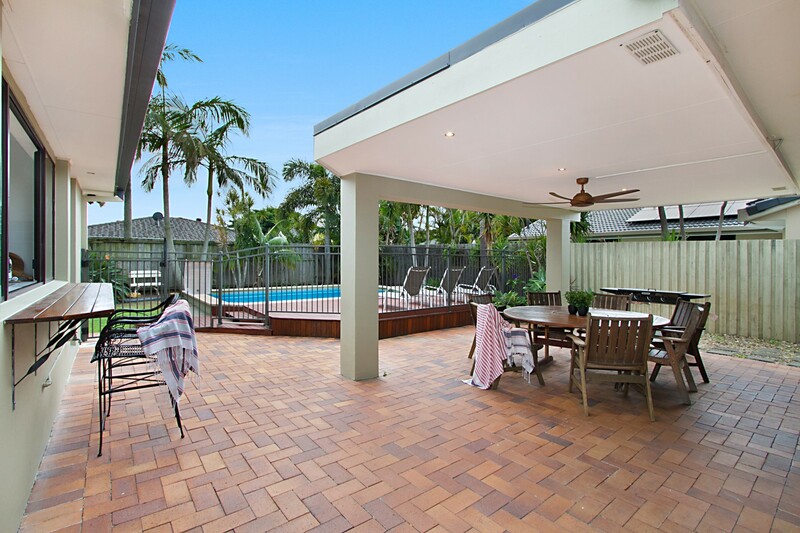 Mermaid Oasis is close to beaches and Pacific Fair and Robina Town Centre Shopping Centres. We take great pride in keeping our home of the highest standard at all times. 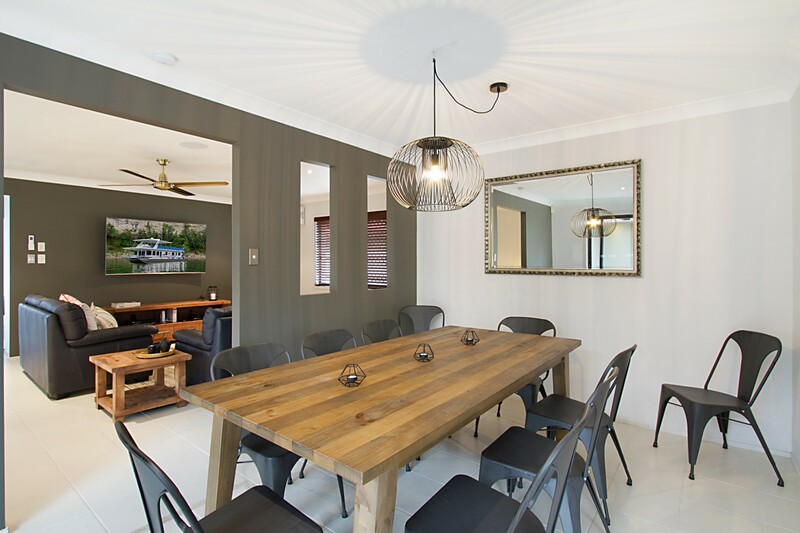 The property has been renovated to include all the modern comforts of today with flair in mind, ready for guests to take in the beautiful surrounds this home has to offer. Mermaid Oasis is perfectly suited to accommodate two families of up to 12 people and oozes style, flair, lifestyle and position. Privacy and security is assured amongst the four walls, and the property offers a fully fenced yard for the kids to play freely and safely. 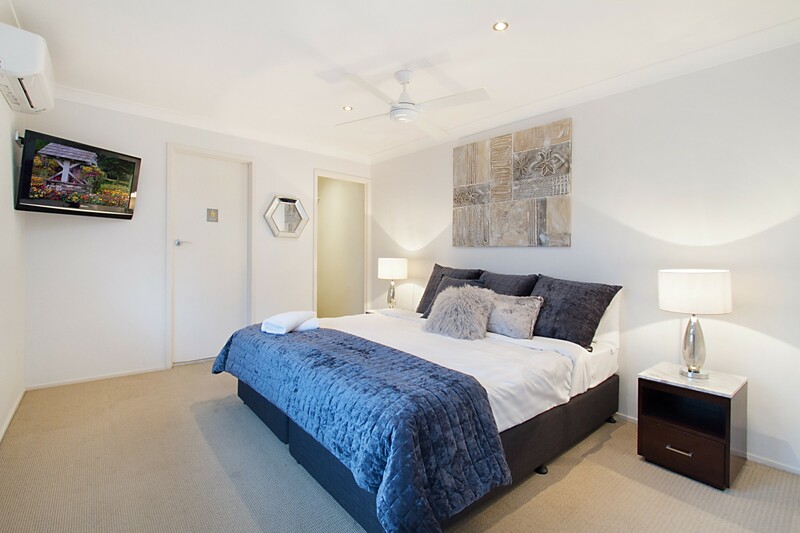 Master bedroom: king bed with ensuite, walk in robe, ceiling fan and air-conditioning. 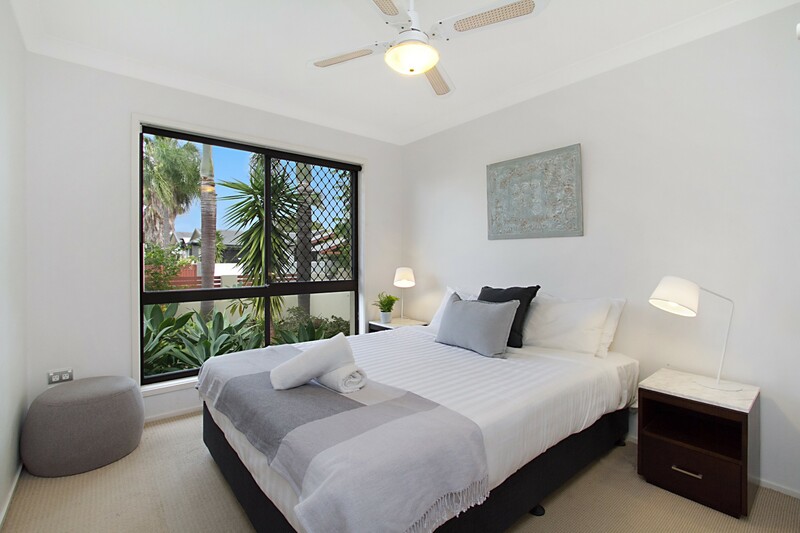 2nd and 3rd bedrooms: queen beds with built in robes, air-conditioning, and fans. 4th bedroom (kids bedroom): two triple bunk beds (double on bottom, single on top), air conditioning and built-in robe. Port-a-cot and high chair provided free of charge. 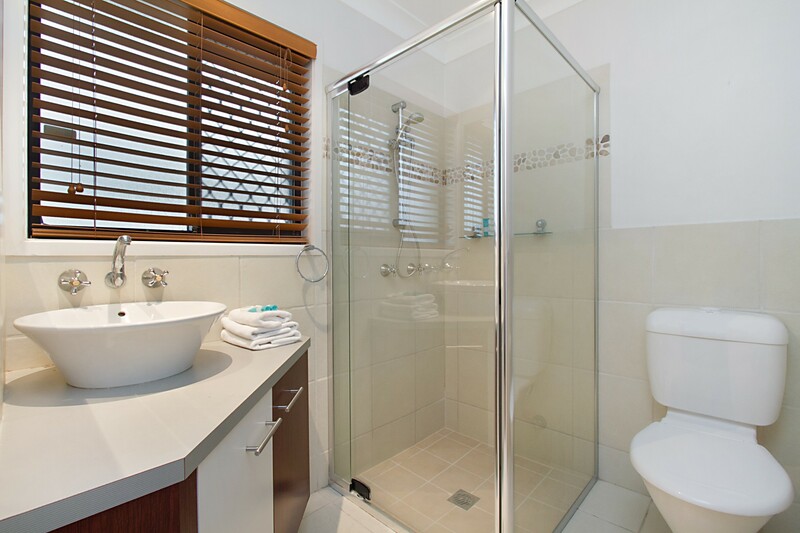 Two bathrooms, main bathroom and ensuite. 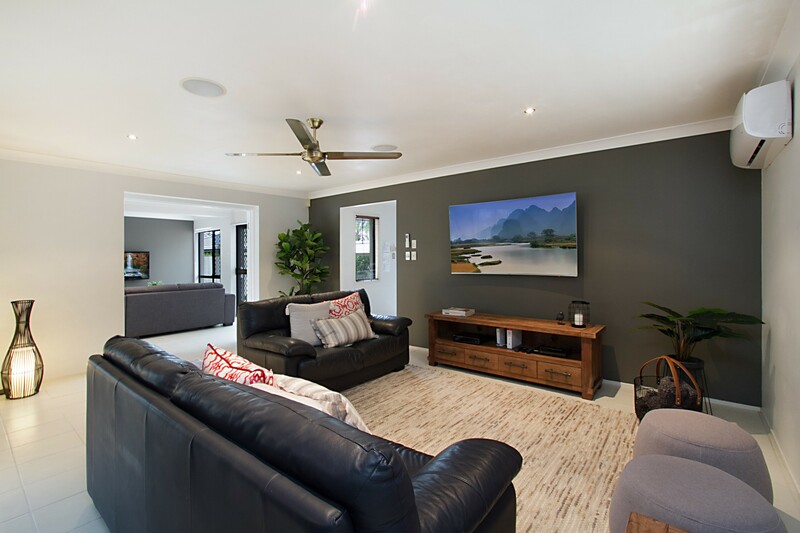 There are two in house living areas that can be divided with glass doors - one lounge for the children with their own Smart TV, Blu-ray player and books for both adults and children. 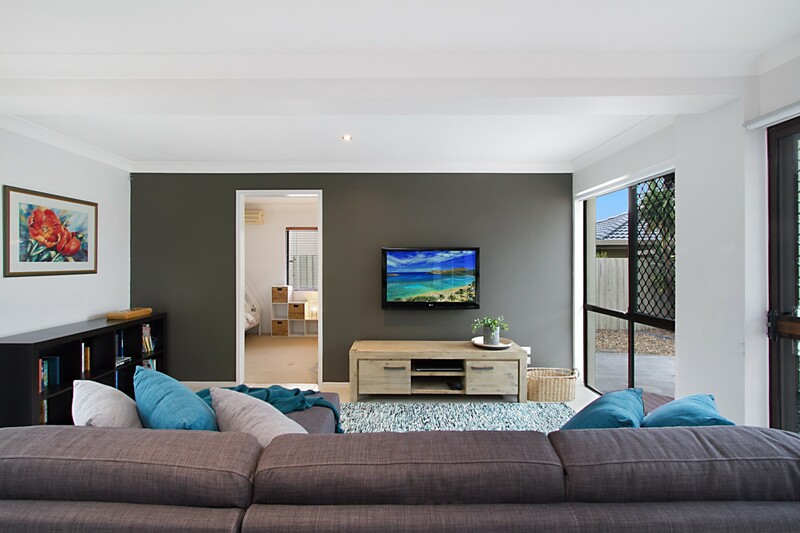 The main lounge for the adults is air conditioned and also has a Smart TV, Blu-ray player and Foxtel. Complimentary WiFi is provided for guests to use during their stay. 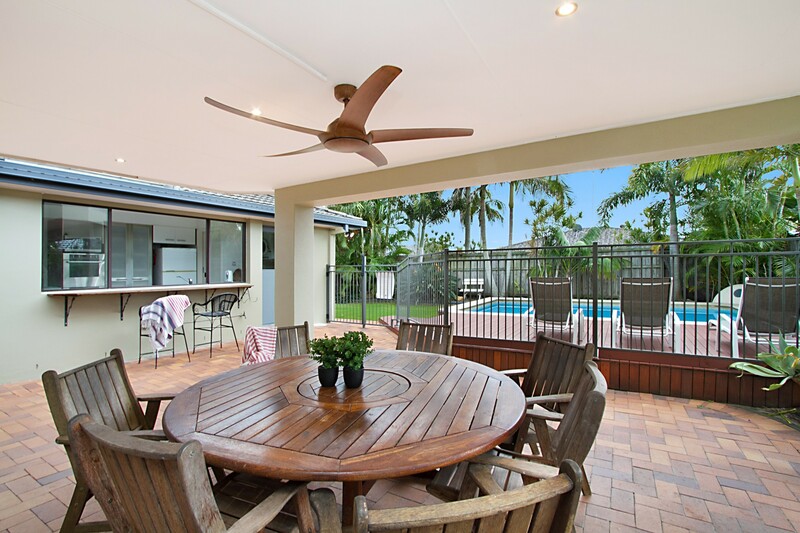 A wonderful under roof alfresco outdoor entertaining area with BBQ overlooking a salt water decked pool where parents can keep a close watch on their children surrounded by tropical landscaped gardens. 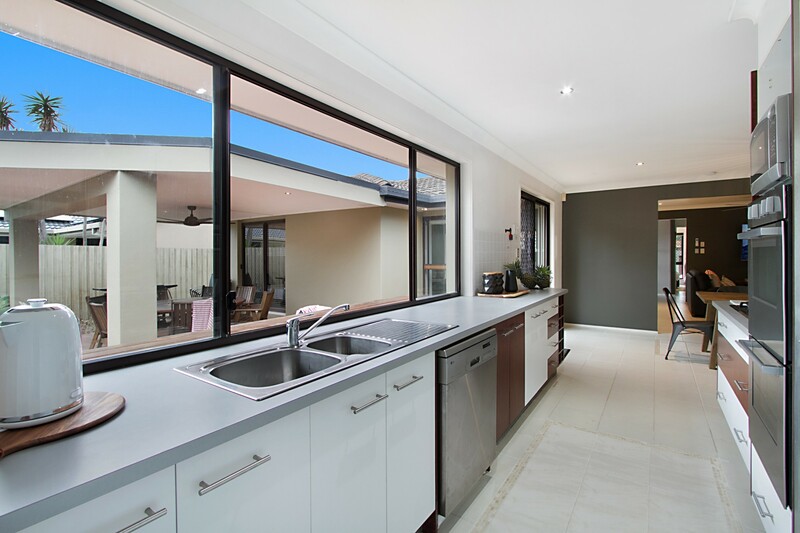 A gourmet open plan kitchen with quality appliances and outdoor servery perfect for entertaining. 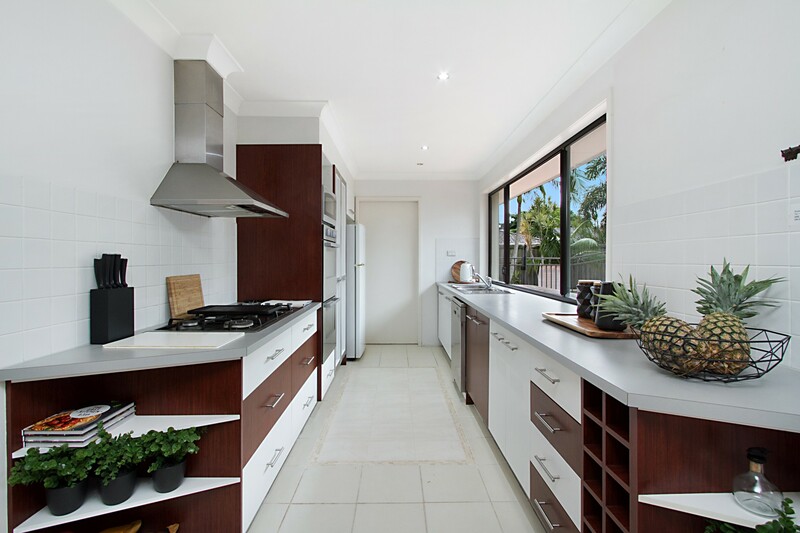 Kitchen includes a double gas oven and gas cook tops with a solid hot plate, perfect for any chef. 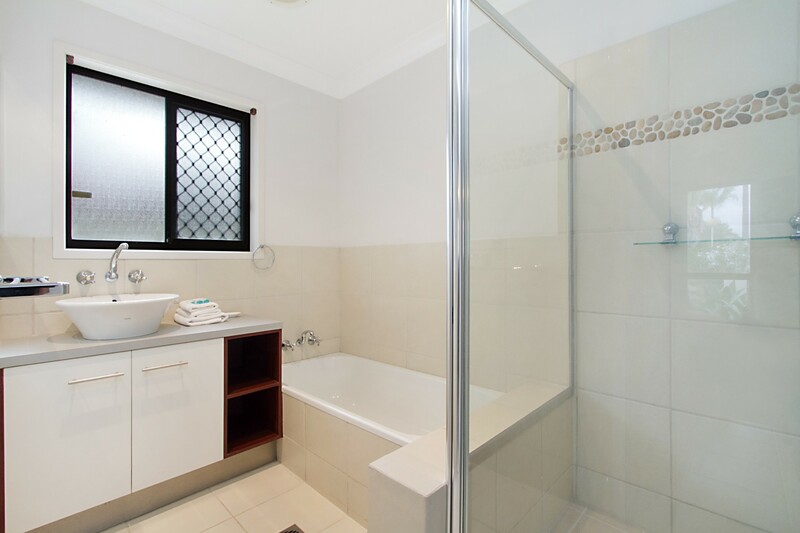 A large washing machine and dryer are provided for guest convenience. Parking is provided for three cars, including 2 undercover. 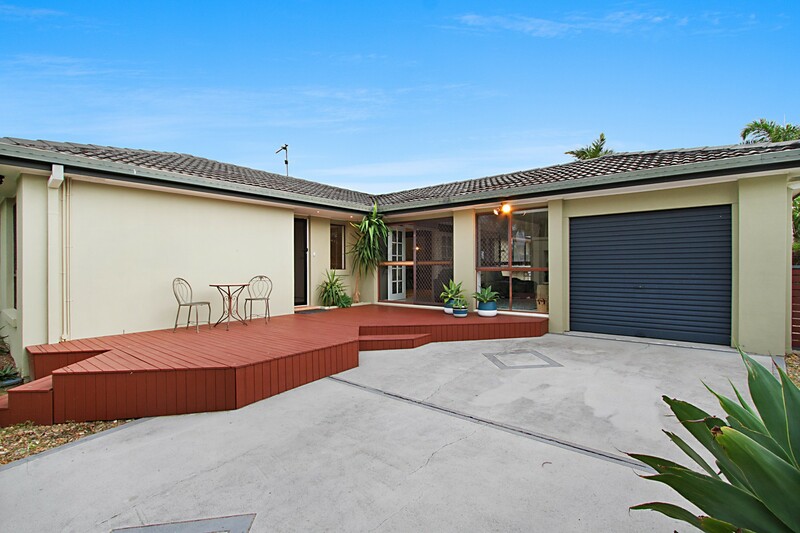 A bus stop is a convenient minute walk away to take you and your guests around the Gold Coast. 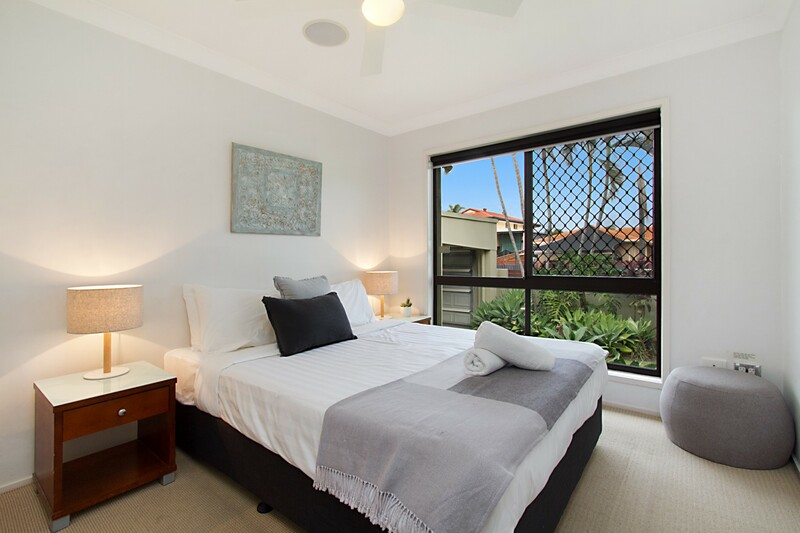 Mermaid Oasis puts guests just 2km from great shopping and dining and 2.4km from the famous sand and surf at Broadbeach. Leave your car safely parked at the house and make use of local transport just 1km away. Plan a decadent evening at the Star Casino or book a table at Dracula’s Cabaret for a fun night of entertainment. 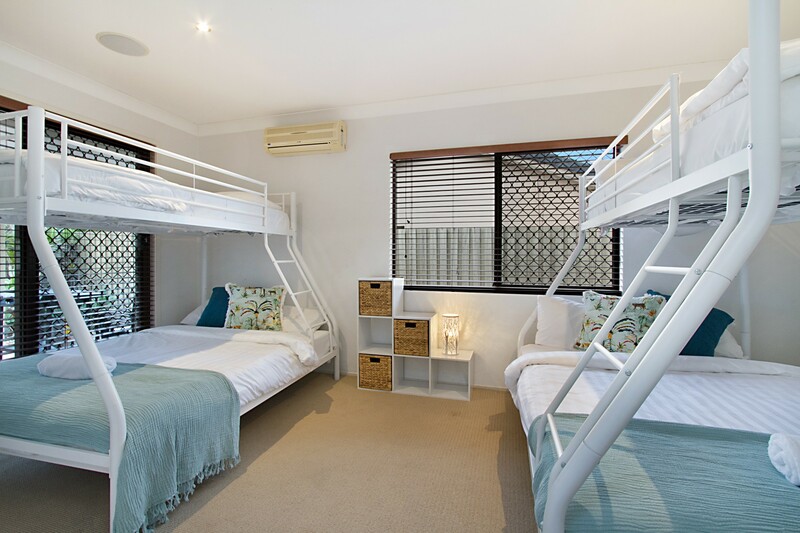 Mermaid Beach has an eclectic dining scene, three golf courses, a Putt Putt Golf Course and several parks in this family-friendly Gold Coast holiday resort. Spend the day in glitzy Surfers Paradise a little further away and treat yourself to the excellent shopping, dining and nightlife while you’re there. You might even want to enjoy the vertiginous view from the Skypoint Observation Deck. Gold Coast Airport is 20km and Brisbane International Airport is 80km away. Great that our families could be together under one roof. We celebrated my nephew's and my own birthday at this property. We had an amazing time and made memories that will last a lifetime.